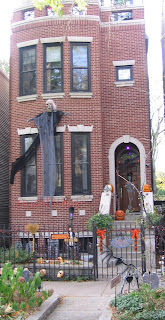 Halloween Week in Chicago: School of the Scarecrow! Click the link for more Halloween photos from this week! Accessible Contemporary Music is a Ravenswood, Chicago not-for profit advocating for living composers of music. The ACM school features piano and composition lessons and the organization sponsors a concert series. We visited Seth Boustead, Executive Director of ACM and asked him about the organization's activities and recent plans for expansion. Seth is a professional musician, speaker, Board President of the Ravenswood Chamber of Commerce and a terrific promoter of the community as a whole. 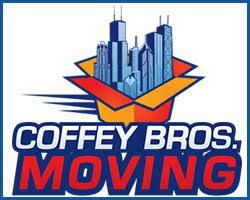 This interview is part of our Chicago Local Business Series. As your Chicago Local real estate experts, we continue to advocate for the local economy and quality of life of the neighborhoods we focus in. 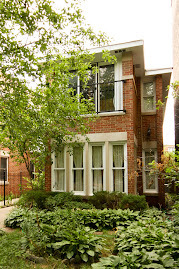 Click the link for more posts on the Ravenswood neighborhood! 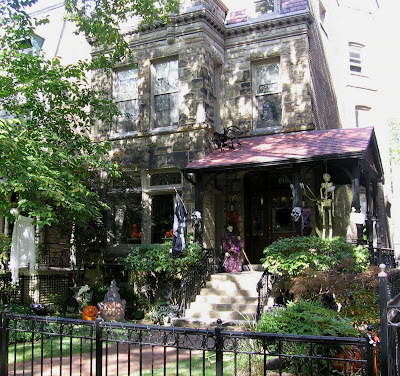 Halloween Week in Chicago: Most certainly haunted! We were leaving our three bedroom duplex condo listing for sale at 3653 W Leland and took a few shots walking through Ronan Park near by. Ronan Park at 3000 W Argyle in Albany Park provides an outdoor nature amenity along the North Branch of the Chicago River. Albany Park residents can enter the park on West Lawrence Avenue and follow paths all the way to the North Shore! Closer by, you can walk, run or ride the several miles of paths that connect Ronan and River parks between West Lawrence and West Peterson. The parks have athletic fields, pools, picnic areas and playgrounds. 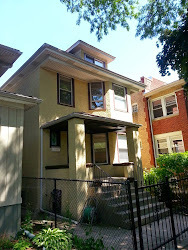 Click this link for more posts on Albany Park, Chicago! 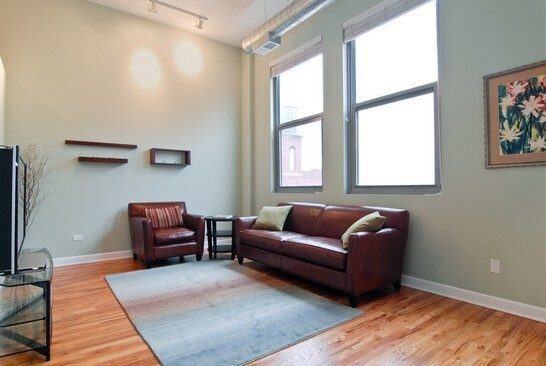 1117 West Wrightwood delivers the goods for looks and location. 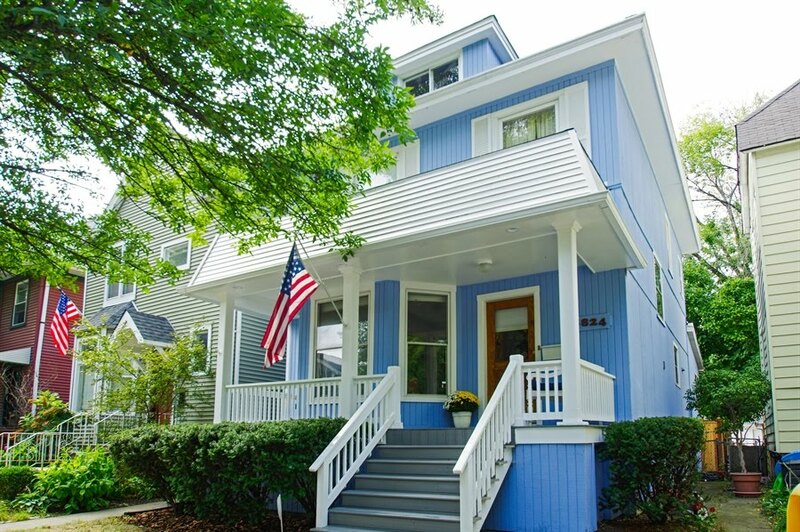 It's a great walkable spot near Jonquil Park and Lincoln Park shopping while tucked just far enough away from the busier commercial streets. Now a stately manor, the property sold on 5/14/2004 as a "rehab 3-flat" on a 48 x 124.75 lot for $1,760,000... just off a $1,850,000 listing price. Daley Plaza in downtown Chicago many times represents the spirit of the season. Click the link for more photos and posts around downtown or check out more Halloween posts HERE. Click on the link below for today's Groupon deal at Nadeau Furniture, located in the Ravenswood neighborhood in Chicago at 4433 N Ravenswood. Get a $100 coupon for $40 bucks. I jumped on this one! 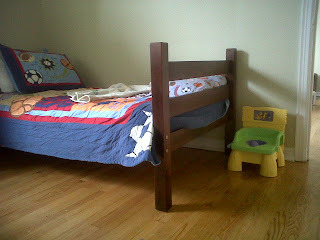 We do a lot of furniture shopping and and have found Nadeau to have good prices and quality. I especially like their changing selections. They have cool little pieces like foyer tables and hall tables, mirrors, and console tables in addition to large bookcases, dining tables and hutches. I took a couple shots of this Lincoln Square backyard with my Blackberry the other morning (forgot my camera). 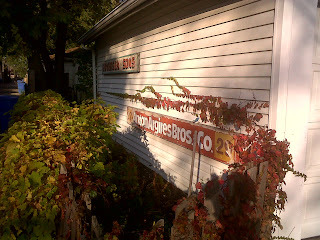 The weathered vintage signs mounted on the garage achieve a warming up affect on the backyard. The yard has a very rural and nostalgic feel with the "fishing tackle" sign... a little country in the big city. There have been few single retail store openings that have drawn this much Internet buzz in our memory like Apple in Lincoln Park. Somehow, the structure itself has taken some criticism as the "Arizona store" design. Here's a few shots... beats the gas station that was there! The store is located at 801 W North Avenue at the... the "gateway" to "mini-box" shopping, restaurants and boutiques along North, Clybourn and Halsted. WiFi patio looking at the refurbished North and Clybourn CTA Red Line station... now that's corporate/public partnership! Sell those naming rights already! Here's a shot of the Apple store sign during construction prior to the opening. Haunted house sightings from Lincoln Park to Albany Park... Chicagoans love their Halloween. Chicago skyline photos, video at YoChicago this week! Be sure to check out YoChicago this week for video of their "chopper" flight around Chicago's downtown. Should be cool! *photo by me... not in a chopper! We're getting plenty of updates from our lenders that jumbo mortgage rates are getting locked under 5%. This type of rate may allow you to buy more house and land (responsibly) than you think. If you're currently a condo shopper, favorable jumbo rates may help you into a house or multi-unit building for near the same money you'd pay monthly on a condo. This type of jumbo rate would look great on an owner operator multi-unit purchase. 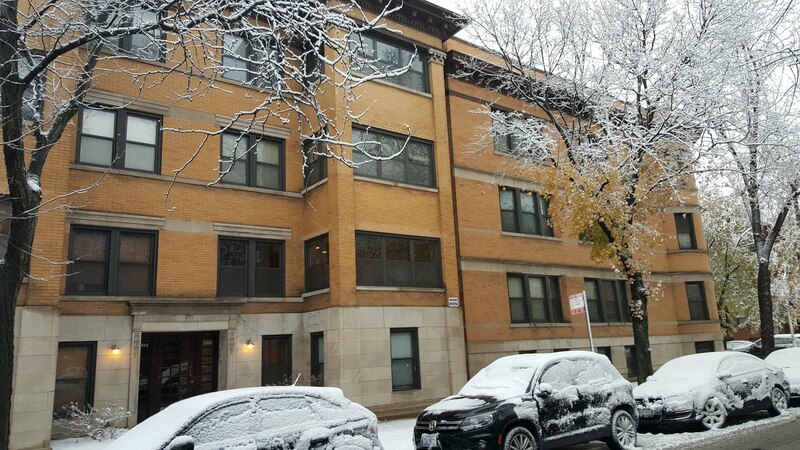 If you are buying a $600,000 plus multi-unit property in a desirable North Side location, you can catch around $2,000 in rent for three bedroom rental depending on it's condition and if you include parking. At this price point, you should be finding a really well conditioned building. That rent increases your purchasing power. Applied to your mortgage payment, the rent may bring you down to a monthly payment similar to a $450,000 condo with assessments around $250.00 a month. We suggest some of our condo buying clients look into multi-units when we think it could be a good fit and better value for them. Please contact our personal mortgage consultant Steve Dunnett at 1-312-462-7709 or your current bank to understand the possibilities. I just received a special pre-sales membership offer at my door for the coming soon Lincoln Square Athletic Club. The large color advertisement had a rendering of the finished exterior of the club. I took this photo above two weeks ago of the construction progress and it looks like things are going slowly for now. A report in January had the owners looking to open by second or third quarter this year (now). The club will be at the hot, hot, hot bend of West Leland and North Lincoln Avenue, the epicenter of Lincoln Square shopping, dining, fests and markets. The LSAC will be housed in the old Northern Home Furnishings space... a former institution in the neighborhood. I own several furniture pieces and lamps bought at the store and was sorry to see it close. The arrival of a bustling health club with a trendy past suggests business is open in this desirable neighborhood. A fantastic clothing boutique sits just steps away from the athletic club site. 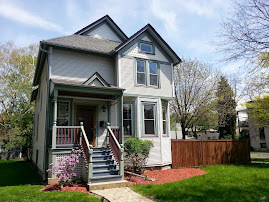 Click the link for more posts on Lincoln Square! 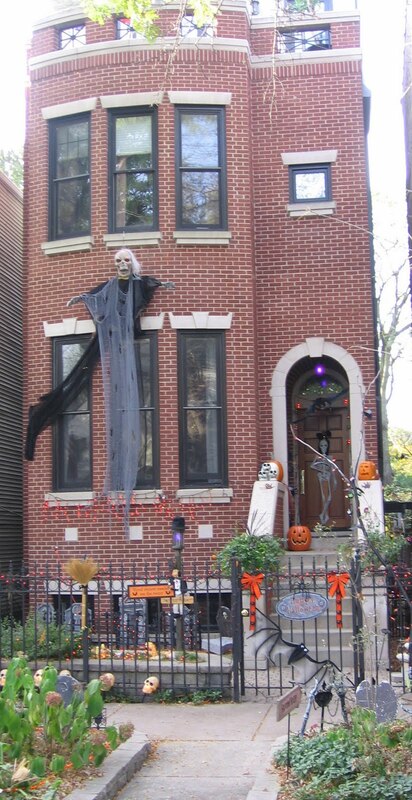 I can't speak for other cities, but Chicagoans like their Halloween. We'll post photos this week of "haunted homes" we come across in our daily dealings. 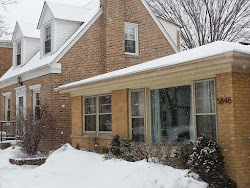 The Bowmanville neighborhood is located on the northern edge of the Lincoln Square Chicago community area. The boundaries of the neighborhood according to the Bowmanville Community are "Ravenswood Avenue, Foster Avenue, Western Avenue and Rosehill Cemetery". Foster is at 5200 North block of the Chicago grid. 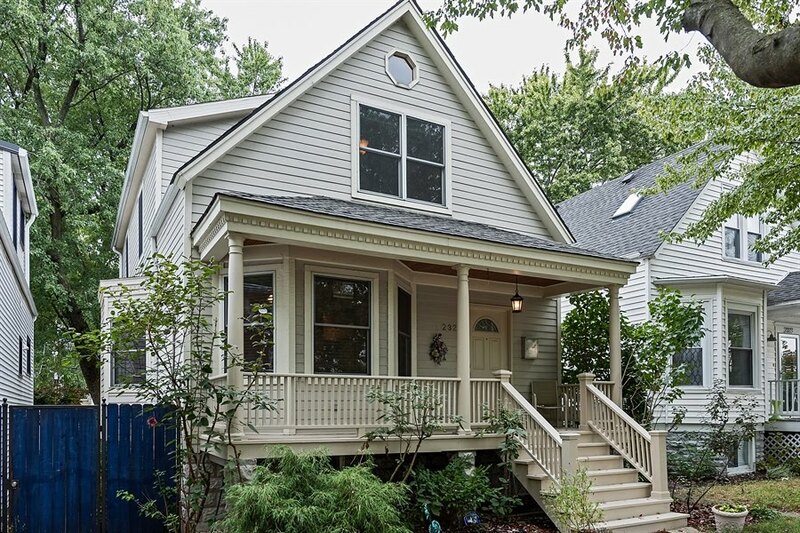 Here's Five Reasons to Buy a House in this often overlooked, but very pleasant North Side neighborhood. 1. House prices: Over the past 12 months the median price of a single family home in Bowmanville is about $465,000. That will get you a nicely maintained three bedroom two story house on a standard or larger lot (usually with a great yard!). Compare that with the Lincoln Square area just south of Foster with a median home price of about $550,000 and you're already saving money just a few blocks north. Bowmanville also has full renovated and new construction luxury homes up to the $800,000 or so price range. If you are done with condo life, there is real value in single family homes in Bowmanville. There are often opportunities to buy at lower prices and renovate homes well within market price thresholds. Regardless of the investment aspect, you can mold your own home for your own needs in a beautiful urban setting. 2. Shopping and dining: Bowmanville is bordered by a variety of grocery stores (including the new "green" Dominick's at Lincoln and Foster). You are an easy walk to the main Andersonville retail and dining meccas on Clark Street or Lincoln Avenue in Lincoln Square. There are plenty of cool small bars, eateries and businesses nearby along North Damen Avenue and along West Balmoral. You are a quick drive to larger retail like Border's or Home Depot just northwest on Lincoln Ave. Homeowners with families are really surprised by the convenience of these retailers. 3. Pretty and Quiet: Bowmanville is tucked between much retail and amenities, but remains a quiet little village with some superb gardens and landscaping. The streets are lined with mature trees. There are some unique small blocks with cottage homes on irregular lots... one neat little stretch of North Bell Avenue reminds me of some old weathered neighborhood houses on Martha's Vineyard! 4. Community: The neighborhood certainly has an identity and civic pride, but is also laid back. The area opens their homes up to a Garden Walk... what better way to meet your neighbors?! The neighborhood association has a handful of annual events for adults and children. 5. Transportation: Commuters to downtown like the Ravenswood Metra stop and Damen Brown Line train (about a mile or so away). There are plenty of bus routes on Foster and Western to bridge the gaps to hip neighborhoods and retail destinations. Driving to the highways just west, North Shore and northern suburbs is rather decent too. When driving south towards downtown, Lake Shore Drive and Ashland Avenue are best bets. Is it time for you to own a single family home? Call or email us... we'll find value in some great neighborhoods and help you plan smart, realistic renovations. Great example of an updated, expanded cottage along side an original. Both well kept. You can do A LOT with a $500,000 budget here. Click the link for more posts on Bowmanville! In a LEED effort, the "green vehicle" preferred parking sign at my new Dominick's reads "We've reserved parking spots for low-emission and fuel-efficient vehicles." I see a Ford F150, GMC Denali, a V8 Dodge Durango, a Pontiac Grand Am and I think that's a Lincoln Town Car parked over the sidewalk. 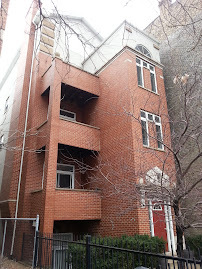 1964 N Burling sits on one of the most desired blocks in Lincoln Park . 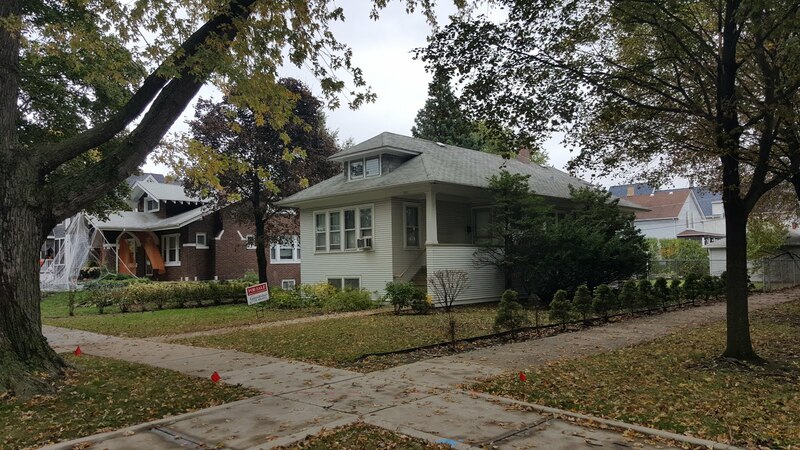 The single family renovation has much to look at on first glance and more going on for it's premier location. Land value on the block for a standard lot here can be over $1,000,000. A 2007 new construction seven bedroom home at 1905 N Burling on a 25x130 lot just sold for $3,950,000. We love the colors and nod to classical architecture in flat representations of columns that are carved in relief on the facade. Thick decorative gables and cornice cap the grey stone structure painted a terrific black...and those doors! The last sale recorded in the MLS of the home was in 1994 for $819,000 when it sat on a double lot. Great investment! In the last few years it looks like the lot was split and sold for a development on Burling and Armitage. 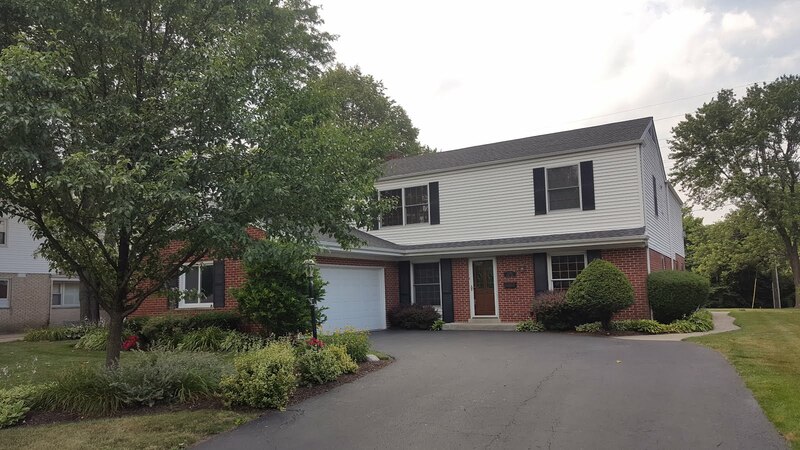 Click HERE to view more House of the Week posts! Here's a shot of the corner at Willow and Burling just south of the home and with downtown views. Start selling stuff, give it away, store it... now. The best advice we give clients when discussing their home sale is to "pack, you are moving". 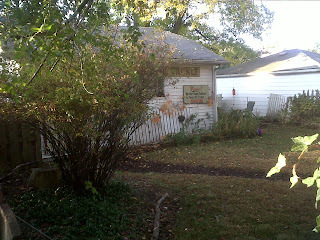 Having a garage sale (or in this photo a front yard sale) is a great way to get rid of items and make a little money. We've had recent clients make $700-$1,600 on their garage sales! You may want to ask neighbors if they'd like hold a sale together. Along with the sale, we advise client's box up just about anything they can live without and move it to available storage. Many clients rent off-site storage for furniture and boxes. Price and condition are the best ways to sell your home. Removing and selling unecessary items is your first step in moving on and out. We always recommend our clients speak with an expert mortgage consultant prior to looking at homes and to re-evaluate their current mortgage situation often. I was talking to a close friends about their condo situation last week and again was reminded how important it is to meet with a mortgage professional... ASAP. My friends' desire is to sell their condo and buy a single family home for their growing family. They have valid worries they won't get as much as they'd like from their condo sale and they also assumed you need 20% down to buy a house. In most cases you do not need 20% down to buy a home to get very low mortgage interest rates... and in many situations I would NOT put 20% down on a house (my opinion) with today's low mortgage rates and if buying well within my monthly budget. In several conversations I've had with lenders, those who have put 20% down rather than 10% down on recent purchases were the people more likely to default. They had less cash on hand for living expenses and no cash when their homes dropped in value. 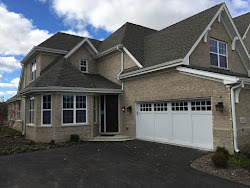 FHA and conventional conforming loans allow low down payments on homes... single family homes and two-three flats are many times easier to buy these days with low down payment products. The key is to be responsible and understand your finances. You may find your mortgage payment is very affordable today even with a low down payment. Call Steve Dunnett, Senior Mortgage Consultant at 312-462-7709 to discuss your options. The 1200-1250 block of West Henderson Street has a unique cul de sac (don't call it a "dead end" street) in the Southport Corridor of Lake View, Chicago. The homes on this half-block generally catch more green than homes on two way or even one way side streets in the area. There are a good number of old frame homes that have been torn down and replaced by large, ornate masonry new construction over the years. The block remains popular for those looking for a city lot to custom build or buy new construction from developers. Watch the video: Here we take a quick walk on the block before heading into a home showing last week. There are currently three homes for sale... an extravagant extra wide (79 ft) 2007 new construction home being re-sold at 1213 W Henderson. It has five bedrooms and five and one-half baths for $3,295,000. With great location at the end of the street, this home tops the list. 1218 W Henderson is a five bedrooms, four and one half baths new construction home (never lived-in) listed for $2,299,900 on a standard 25'x125' Chicago lot. 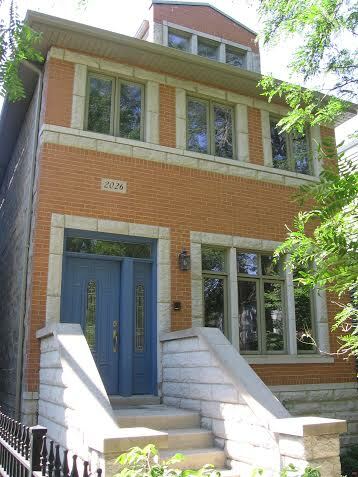 For the average folk, there is a re-sale home at 1241 W Henderson for $1,049,00. 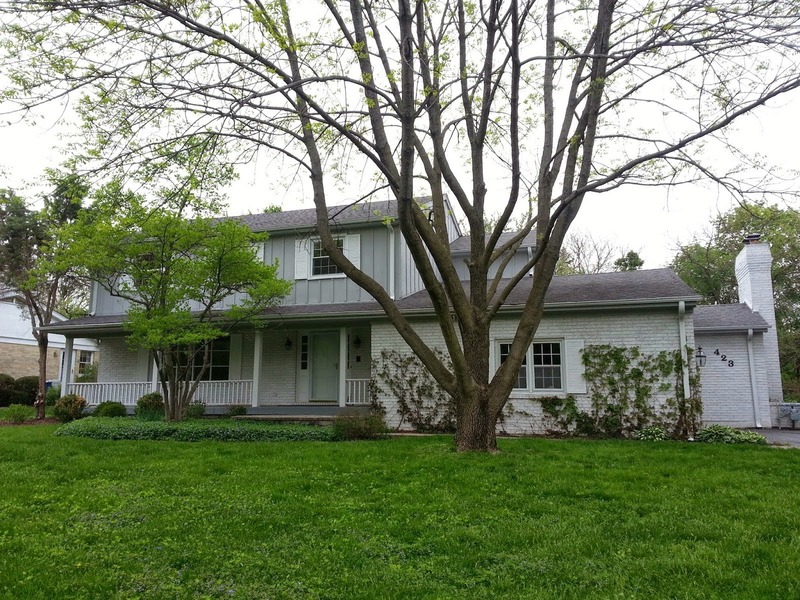 At four bedrooms, three and one-half baths it's now priced at the 2005 purchase price. I toured the home and feel the price is good for the area, however, it did not show as well as I'd like for the price and area. It does not look like many updates or refurbishing was done from the 2005 purchase. A buyer can bring it up to speed pretty easily. There is one closed home in the past 24 months on this half block. 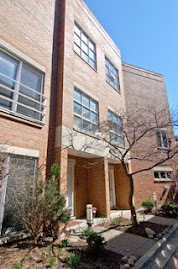 1231 W Henderson closed for $2,513,146 in 2009. The home was under contract near the end of 2007 and closed in 2009. It looks like they did many custom updates during the construction phase. This will also be a case where folks bought pre-construction prior to bank crash and closed just after it. Click Here to view more Southport Corridor videos and posts! 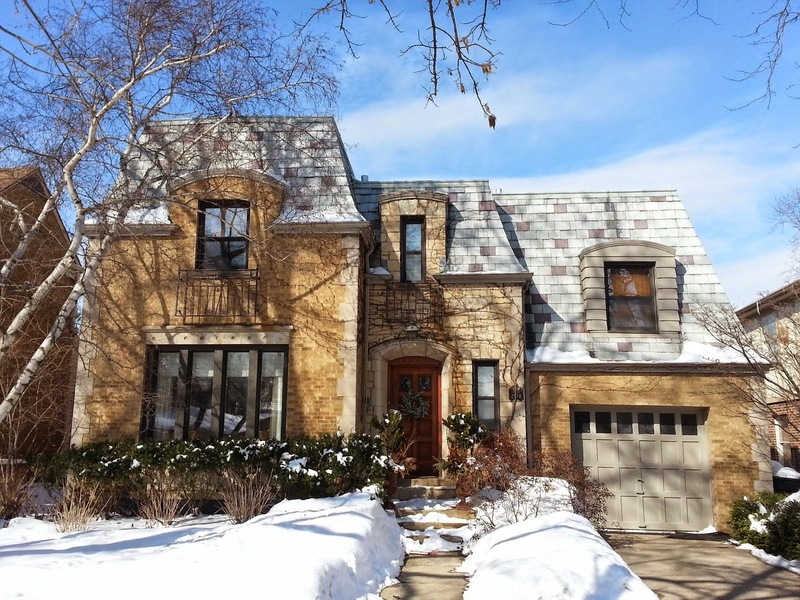 Let's take a look at third quarter 2010 single family home sales in our five largest markets we work in on the North Side, Chicago: Lincoln Park, Lake View, West Town, Northcenter and Lincoln Square. These quarterly community area comparisons can swing up and down every year and don't necessarily follow the greater market. Call us if you need consultation buying or selling a home. Many factors will determine your pricing. Lincoln Park: 34 houses sold down from 2009 by -27%. Median price of $1,260,000 down -16% from 2009. Lake View: 28 houses sold down from 2009 by -9%. Median price of $1,165,000 up +33% over 2009. West Town: 33 houses sold down from 2009 -2%. Median price $645,000 down -7% from 2009. Lincoln Square: 15 houses sold down -50% from 2009 . Median price of $475,000 down -1.5% from 2009. The median price for a closed or pending condo sale on Division Street in Wicker Park over the last 12 months is $475,000. Considering the median price for a condo in the greater Wicker Park neighborhood over the last 12 months was $377,000, Division is where the action is at $100K more. Here's a couple more shots from last Thursday's perfect evening. Things are just getting started at happy hour. We indulged a little after a listing appointment for a pretty rad duplex condo. Stay tuned. Even the bakeries are cool in Wicker Park. Alliance Bakery kicks Betty Crocker out to the curb.